CWSTRUCTURAL Engineers traces its roots back to Doug Loos, Structural Engineer, who began his practice in the area as a principal of Loos & Traeholt Associates in the mid 1960’s. In 1993, Loos & Traeholt split and the subsequent merger between Doug Loos, P.E., Chris Wentz, P.E., and Jim Heyer, P.E. led to the formulation of Heyer & Loos Engineering, Inc. Heyer & Loos Engineering has grown significantly changing its name to CWSTRUCTURAL Engineers in 2006. CWSTRUCTURAL Engineers is now practicing throughout the upper Midwest including North Dakota, South Dakota, Minnesota, Montana, Wisconsin and Wyoming. 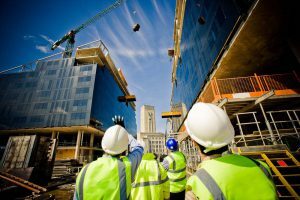 Our dedication and commitment to service in fulfilling the project goals and objectives of our clients and our overall passion for our work has resulted in a reputation for exceptional paramount client service and quality, complete and accurate construction documents. We have gained a broad structural engineering knowledge and experience base… successfully managing and completing over 350 projects annually at a construction value of well over $300 million with a dedication and commitment to each and every project on its own grounds… developing and maintaining a passion and enthusiasm for our work we have successfully completed educational, municipal, religious, commercial, industrial, healthcare, recreational, governmental, hotel, maintenance, utility, military, office residential, municipal and other structural design projects… offering many structural engineering services. We are very interested in cultivating, maintaining and growing continued relationships with all of our clients from individuals, architects, contractors, developers, construction managers, fabricators and suppliers, as well as institutions, agencies, foundations and municipalities.